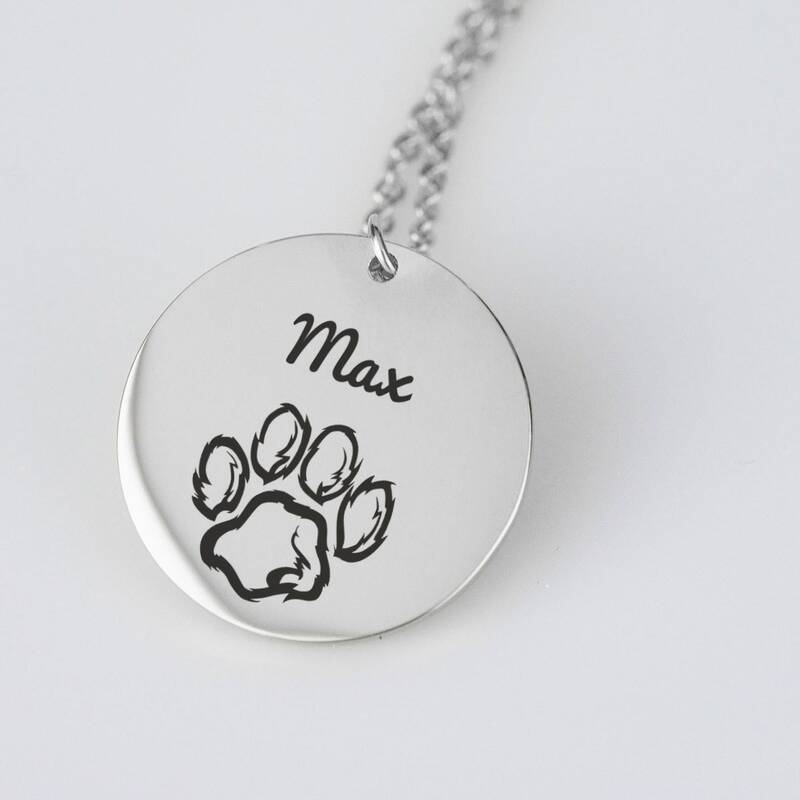 Personalized paw necklace - this personalized necklace for cat and dog owners features a paw design with your choice of name above. Enter name in the "notes to Frosted Willow" box box during checkout. 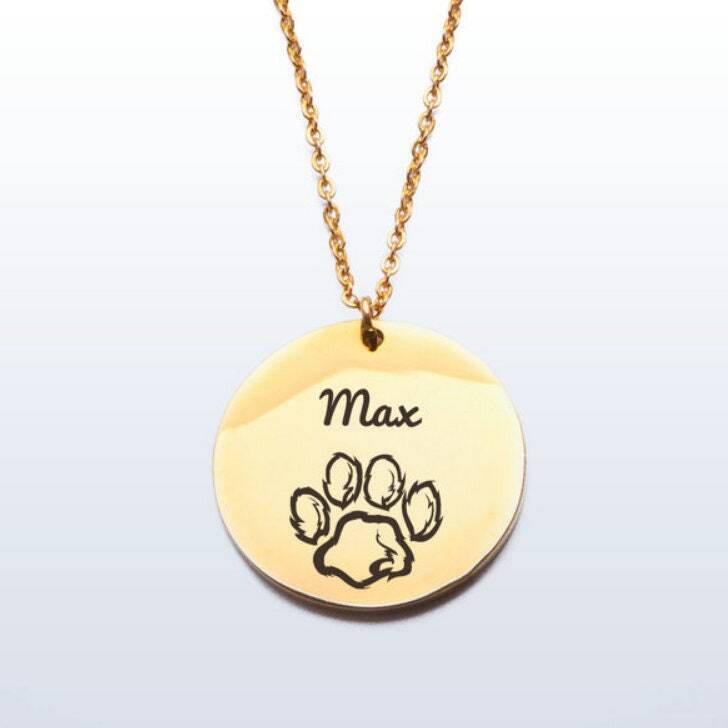 Select finish options from 18k gold plated stainless steel or stainless steel. 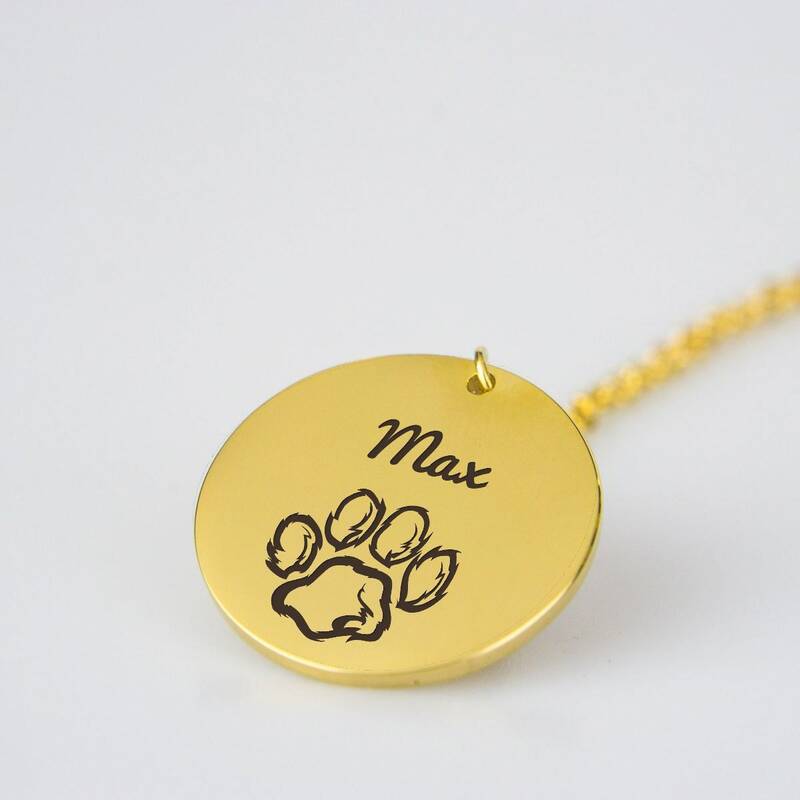 The disc is 0.9" (22mm) in diameter. The chain is 18" (48cm) chain with a 4" (10cm) extension. This custom necklace makes a great gift for dog owners and also a wonderful Mother's Day gift, Christmas gift, or birthday present.